There are many different aspects of digital marketing. 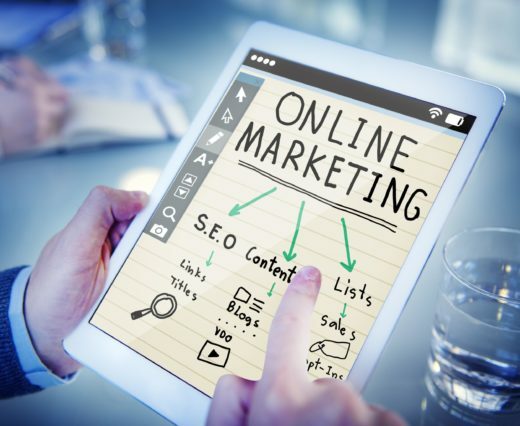 Not only are the various aspects, but there are also different methods and techniques each designed to handle a specific aspect of marketing. Each time a new digital marketing technique is put into action, it is called a campaign. There are social media campaigns, banner ad campaigns, pay-per-click ads, and so much more. There is one digital marketing method that is at the heart of almost all other types of campaigns. This marketing method is called SEO which stands for search engine optimization. The use of SEO is often considered to be a campaign all its own and it is; however, it is also much more. Aspects of SEO can be found in every digital marketing technique currently in use. The problem is that many people still do not truly understand what SEO is and how it works. To truly be able to utilize this all-encompassing digital marketing technique, you need to understand it as much as possible. This is why it is important to seek out guides and explanations before beginning a campaign. If that is what you are searching for, look no farther. Here, you will find a basic explanation as to what SEO is, what all in entails, and how to begin your SEO campaign journey. First, let’s break SEO down into its simplest terms. Search engines are comprised of various algorithms. This is how the search engine knows which websites are relevant to which searches. There are digital bots the scour every inch of the internet, every file, every website, every deep corner of the world wide web. These bots gather information about everything they encounter and rank every site based on specific criteria. Every search engine has its own list of criteria that the bots look for, but they all look at keywords, content quality, and quantity, site quality, and link backs. The bots then report all of the information that they gather to the search engine which then uses an algorithm to organize sites by how relevant they are to various keywords. This ensures the users get the most relevant search results. This means that the most important aspects of a successful SEO campaign are content, link backs, and keywords. This is because the point of SEO is making your website stand out to the search bots which will make the site rank high with the search engine. Now that you know the basic description of SEO, it is time to learn about each aspect of running a campaign. The first aspect to consider is content. Your website should be filled with relevant content, but not just any content will do. You need to ensure that the content is of high quality. This means no grammatical errors, proper punctuation, correct spelling, and relevant subjects. It is perfectly fine to write all of your own content if you choose to do so; however, many people do not have the extra time to put into creating all of their own content. If this is the case, there are plenty of professionals available that can handle the project. Essentially, there are two ways to hire a professional. You can either hire someone locally or hire a telecommuting professional. Within both of these choices, there are companies and freelancers. The same is true for SEO experts in general. Regardless of whether you are looking for someone local or someone who can telecommute, the internet is the ultimate research tool. If you are looking for an SEO company, be sure to check out SEO Services With Benji Marketing inc., this is a fantastic company. Next up for discussion is keywords. Choosing the best keywords for your site is incredibly vital. The reason for this is that keywords are how search engines know what your site is about and which searches your site should show up in. Keep in mind, that yours will not be the only site with a particular type of product or service. The goal is to make sure your site is more relevant than others of a similar nature. You will not be using just one keyword, you will need whole host keywords. There will be one or two that you will rely on more than the other, but overall you will be using several keywords. During the choosing process, it is a good idea to make a list of keywords that you are considering and put them into different search engines. This will give you an opportunity to see the types of sites that each search engine placement in the results for specific keywords. You will also have a chance to look at the competition for a top spot in the results for a given keyword. The final aspect that we will be discussing is linking and link backs. If you are not familiar with these terms, here is a brief description. The term link back refers to a link to any page of your site that is placed on another website. It literally means a link that goes back to your website. Linking is basically just another way of saying link back. To have a great SEO campaign, you must have an excellent web of link backs established. To start the process, you will place links on all of your business’s social media accounts. Place links in description and bio areas, but do not limit it to that. You can also make posts that include a link to some part of your website. It can be a link to an article on the site, a contact page, the landing page, a product page, and FAQ page, any part of your website. After establishing this part of your link chain, you will need to begin reaching out to other businesses, bloggers, non-profits, any relevant site and ask them to place a link to your site on their website. Not everyone will agree, but many people will. It is always a good idea to offer a link exchange, you place a link to their site on yours and vise versa. Build up a large network of link backs. The bigger your network, the better it will look to search engines.